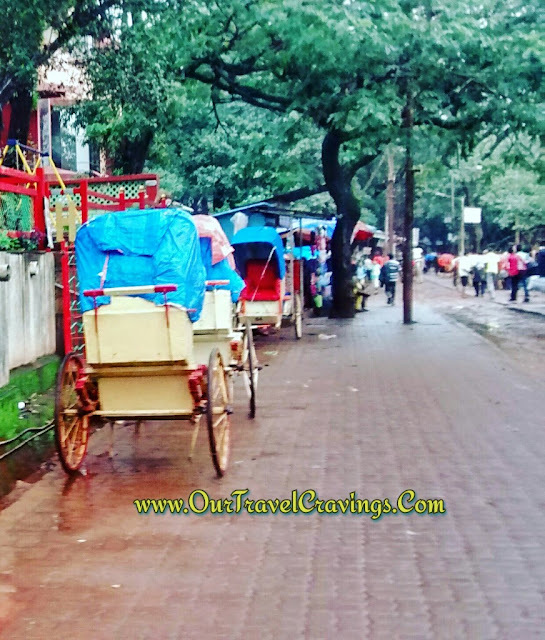 This is the second part of our Matheran Guide based on our experience and here we are gonna talk about the wonderful toy train! 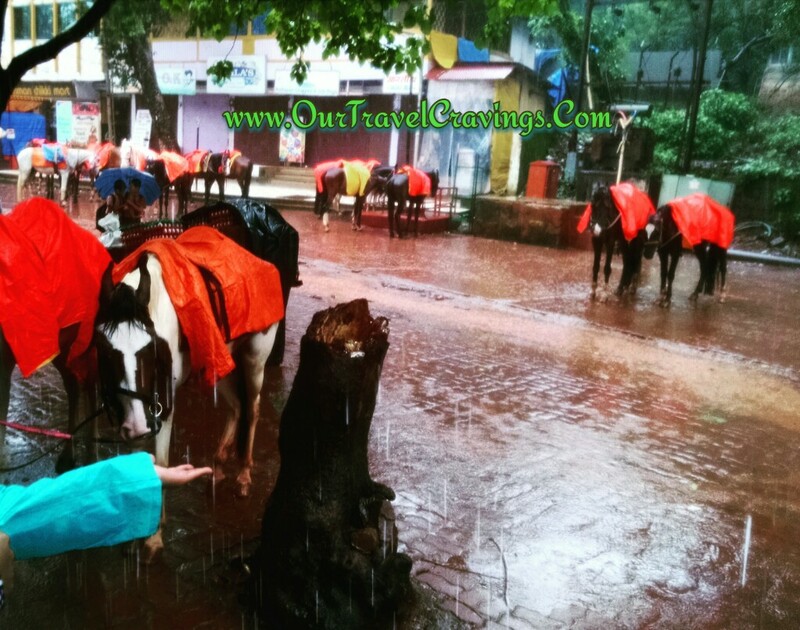 as well as other options to reach Matheran from Dasturi car park. If you missed the first part here's the link. Apart from the joy ride and spectacular sightings including streams and greenery one more advantage of taking the toy train is that it helps you omit the stiff climb by road as discussed in the last post. There is a catch though! The toy train from Neral to Dasturi takes around 2 hours while the road takes only 20 minutes. During the summer months it can look painfully long. One more thing to keep in mind is that during the monsoon months of July to September the toy train is usually closed at all times. So this option is out of the list. However there is a save! 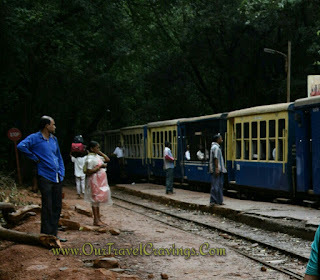 From the Dasturi Car park, you CAN board the train to Matheran town and this route is usually open even during monsoon. This is perhaps the best of both worlds. So you can climb by the road and reach Dasturi. From Dasturi take the short toy train trip of 20 minutes to Matheran town. The views are spectacular and the train is slow, enoyable and comfortable. If you want to take the toy train from Neral itself, you can easily find the time-table online. However, you cannot pre-book it online. You have to buy it at the Neral railway station itself on the day of travel itself or you can buy it 3 days in advance (which is not so possible for travellers!). The distance from Dasturi Car park to Matheran town is around 4-5 kms. 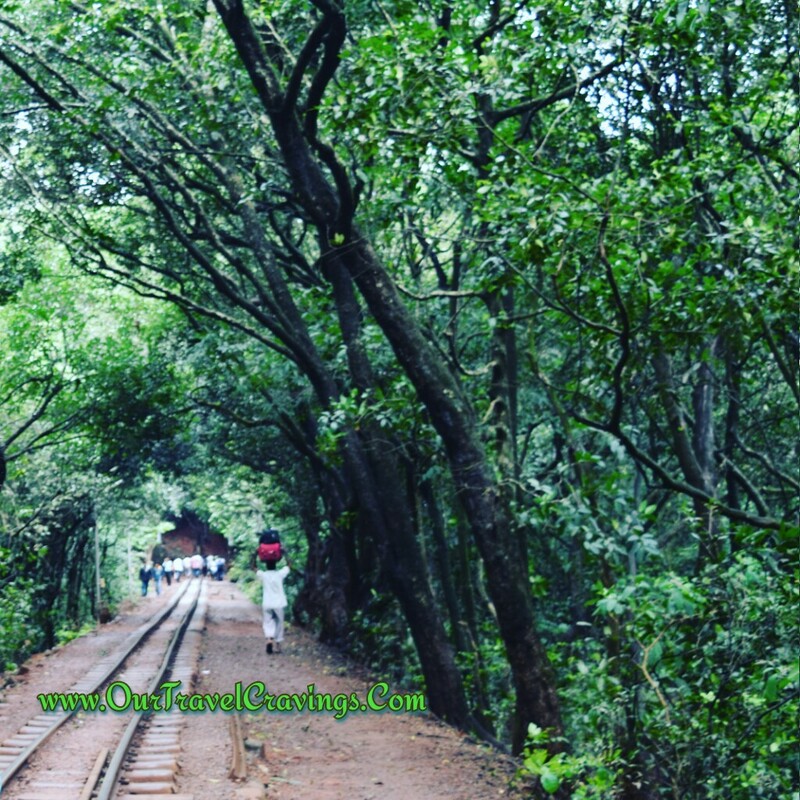 We trekked the whole path alongside the railway track, This trek was one of the most exciting part of our trip. The rains playing peek-a-boo, the lush green scenery and red soil! What more can you ask for? We hired a porter for our luggage, put on our raincoats that we had bought (Always pre-check the weather conditions before travel - click here to know more about our travel essentials) and took out my Nikon D5300 for some initial clicks! 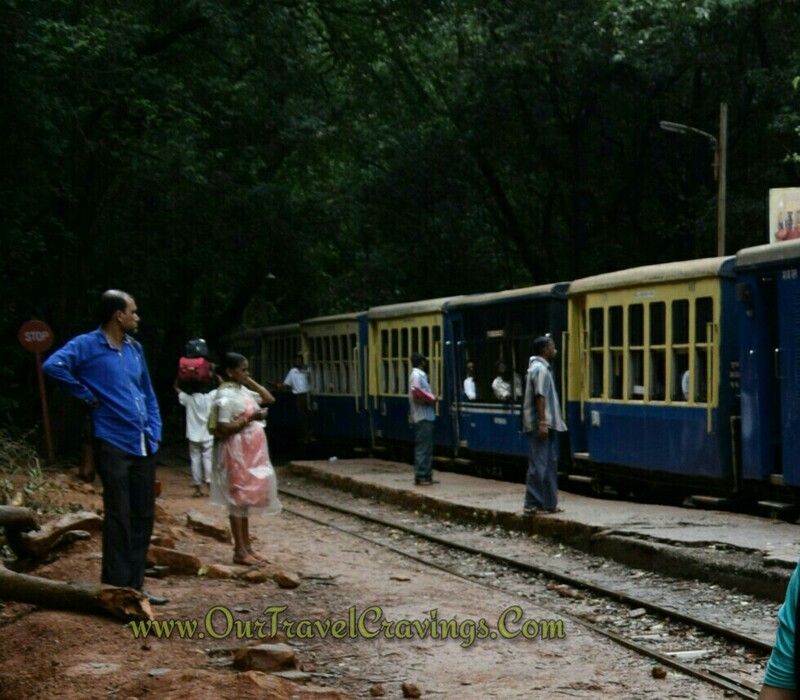 While returning from Matheran, we boarded the toy train uptil Dasturi car park. That short ride of around 20 minutes was exhilarating! The train runs at a snail's pace but that gave us an opportunity to click some good pictures, being the "piccrazy" people we are! Well, this was not the only toy train ride we took, a similar but longer(5-6 hours!!) to train operates from Kalka to Shimla (yes, the queen of hills and the ex summer capital of India). 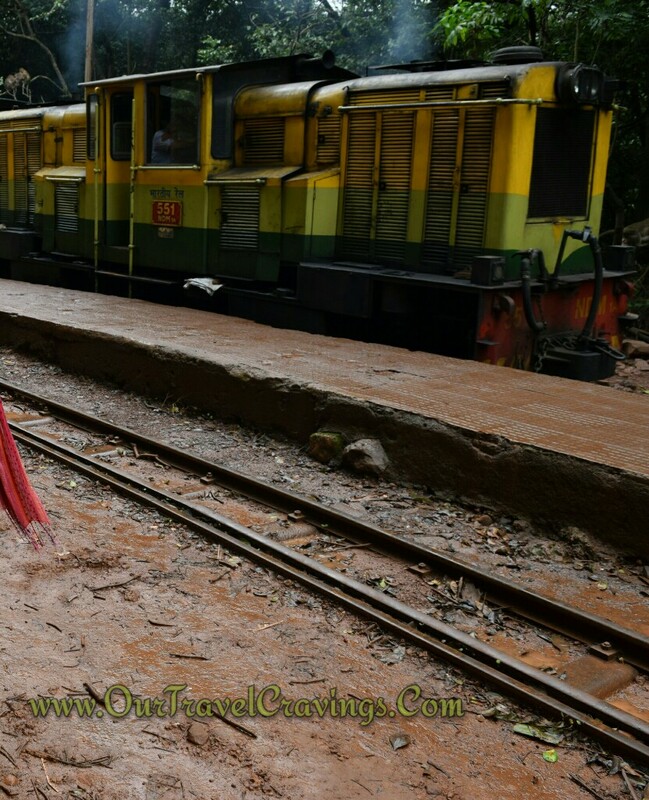 Read more of our toy train experience in Shimla here. In the next part of our Complete Matheran Guide, we discuss the sightseeing places. Here we go again. Click here! Hello, Thanks for the detail and see IRCTC other features after IRCTC Log in to easily book ticket and cancel, refund, PNR and arrange TATKAL tickets for traveling.